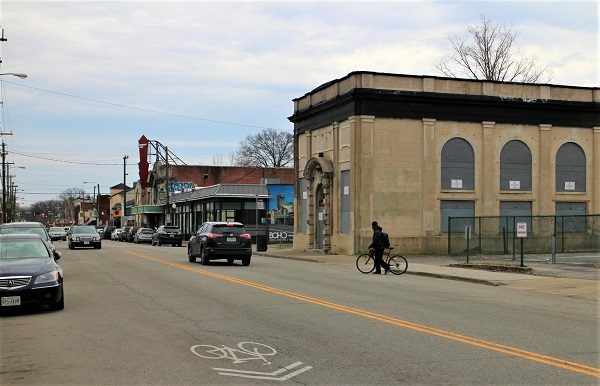 A prominent property along Brookland Park Boulevard that some observers say is holding back the corridor’s potential remains on track for redevelopment, according to its owner. 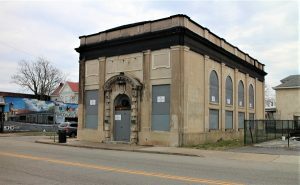 Developer LaMar Dixon said his plans to redevelop the former American National Bank Building at 201 W. Brookland Park Blvd. are progressing, despite complaints from neighboring property owners who aired their grievances with the building’s apparent stagnancy at a recent voter district meeting held by Chris Hilbert, the area’s representative on Richmond City Council. Dixon, whose Dixon/Lee Development Group is planning to convert the former bank branch into a small business development center with involvement from Virginia Union University, said he expects to complete the project by year-end, with fencing signaling the start of site work slated to go up later this month. Dixon said the project remains largely as he described at a meeting of the Brookland Park Area Association last June. At that meeting, Dixon said he was aiming to break ground in the third quarter of that year, with buildout expected to last seven months. Since then, Dixon said coordination with VUU and other facets of the project have required additional time, but he said he remains in compliance with terms of a $200,000 grant from the city and related performance agreement, which have come under increased scrutiny in recent months from area business owners and residents who recently signed a petition demanding action from the city. Dixon said he and his group are working on the project and remain committed to seeing it through. Cory Weiner, a local developer who in recent years has amassed enough properties to become the largest commercial property owner in the corridor, recently submitted the petition containing 18 signatures to Hilbert, with demands for heightened security and police presence along the boulevard in light of multiple shootings there in recent years, including one resulting in a fatality. Weiner argues that such activity is facilitated in part by properties such as the bank building remaining vacant and unused. 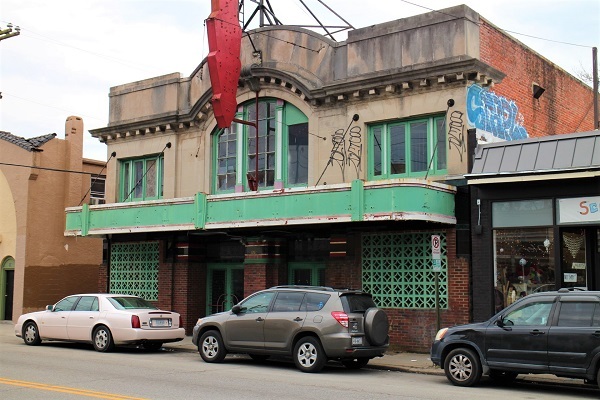 The petition to Hilbert also complained about inactivity with the former Brookland Theatre at 115 W. Brookland Park Blvd., which is owned by another developer, Richmond-based Hampton Nash LLC. 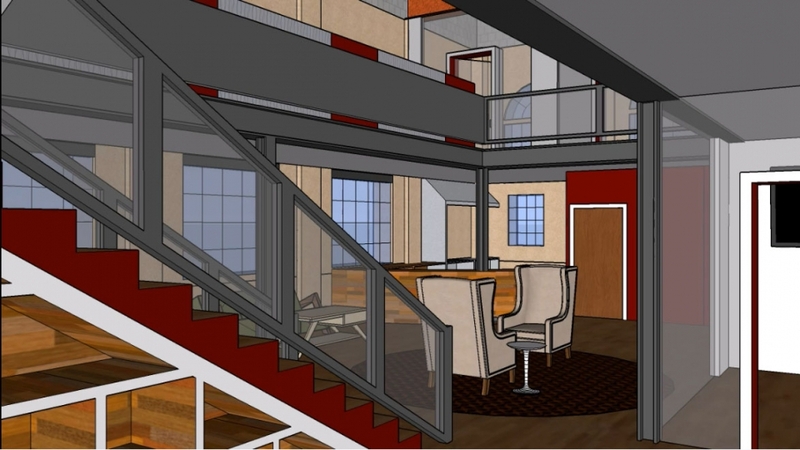 The former American National Bank building is slated for redevelopment as a business accelerator. Dixon takes exception to Weiner’s complaints, chalking them up to a desire to take ownership of the building. Weiner, whose holdings include the recently opened Boho Fit Studio space next door to the bank building, maintained he just wants someone to do something with that building and the theater, whether that’s Dixon and Hampton Nash, himself, or someone else. Four years in the making since Dixon purchased the property for $20,000 from the Richmond Redevelopment and Housing Authority, plans for the bank building call for a business accelerator called Urban Capital Collaborative that would involve VUU students working with small business owners to encourage economic development in the area. Dixon said investment in the project has totaled about $1.2 million, including the $200,000 in grant funds and $929,000 in projected construction costs. Dixon said it isn’t appropriate to compare the project with other commercial developments, arguing that his is more involved than more-straightforward redevelopments and requires coordination with the city and VUU. The project has remained under city scrutiny, as Dixon in October provided a summary of his efforts to date in response to an inquiry from the city’s economic and community development department, which facilitated the grant funds. In that letter, dated Oct. 1, Dixon projected that fencing would be erected by then and that construction would be completed by this spring. Calls to the department to confirm the project’s standing with the city were not returned by Thursday afternoon. Hilbert did not respond to a call and email seeking comment. 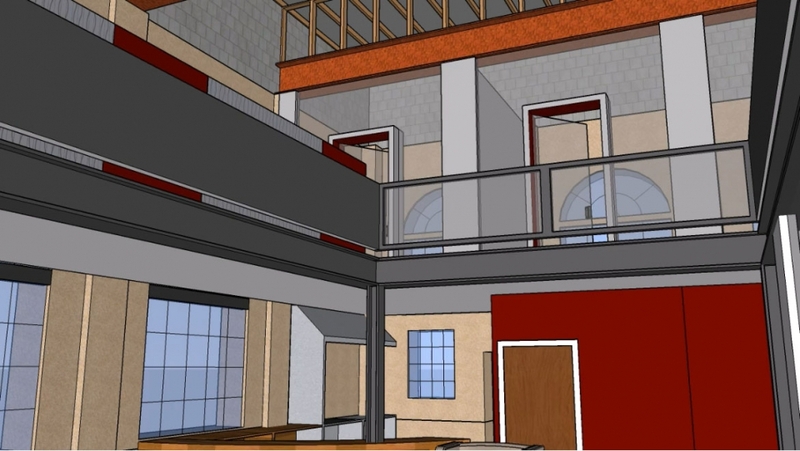 For his part, Hampton Nash’s Kyle Johnston said he’s purposely taking his time with the Brookland Theatre property, given the building’s prominence along the corridor. He said options for redevelopment and potential uses continue to be weighed. “There are a lot of moving pieces,” Johnston said in an email. 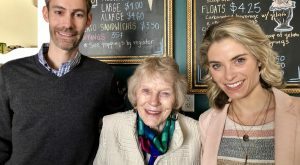 “We want to see this property succeed as well as the entire neighborhood, which means incorporating the right people, securing the proper tenant and restoring the building. The former Brookland Theatre at 115 W. Brookland Park Blvd. “We have been speaking with potential candidates and have plans to move full steam ahead in 2019,” he said. 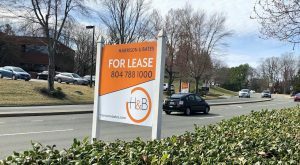 The commercial corridor along Brookland Park Boulevard between Chamberlayne Avenue and Richmond-Henrico Turnpike has had a wave of new investment and developer interest in recent years. 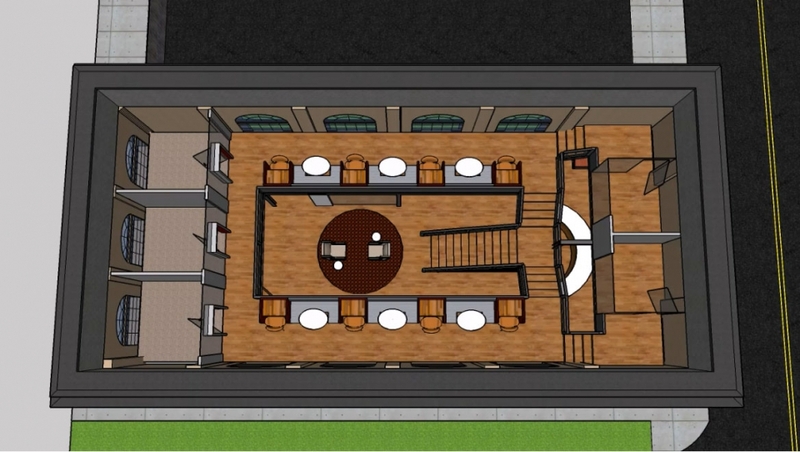 Most recently, Safety Team Brewing received approval last fall to open a brewery in a property Weiner plans to develop at 310 W. Brookland Park Blvd. 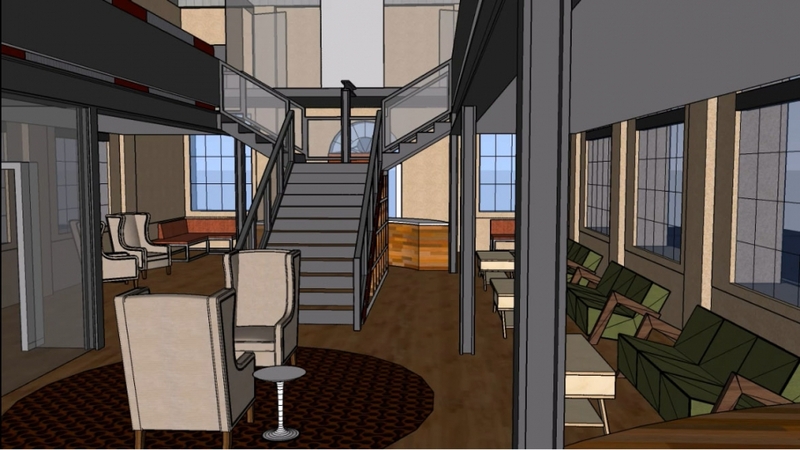 Dixon said the business accelerator planned for the bank building will be an asset to the community well worth the wait. 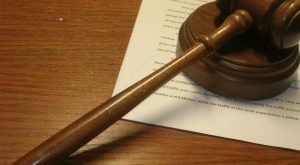 He said the program would target woman- and minority-owned small businesses to help put them in line to start the qualification process for federal Small Business Administration loans. 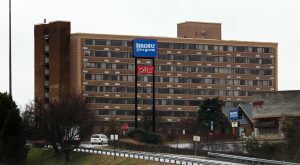 “What that does is it creates tenants down the line, because Brookland Park has been struggling for 40 years to get tenants,” Dixon said. Dixon said his development group previously worked with Cornerstone Architects on designs. He said he is now in talks with two other firms. Dixon is serving as the contractor on the project. 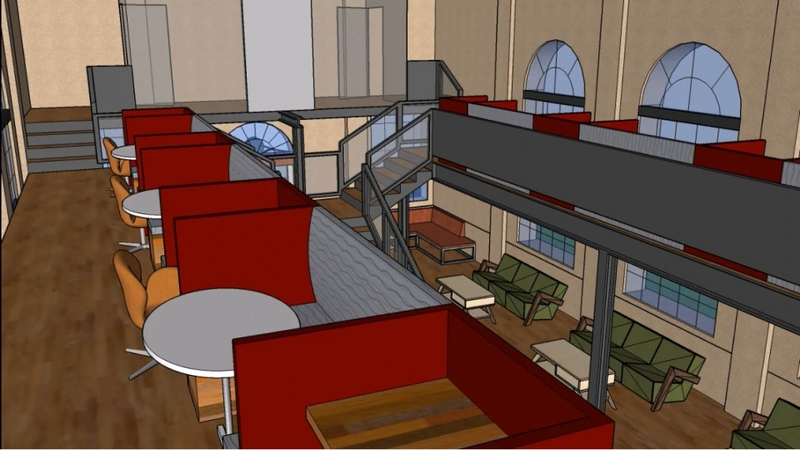 Renderings of the project (see below) show a two-story space with a mezzanine and a variety of work spaces to accommodate as many as 100 people at a time. 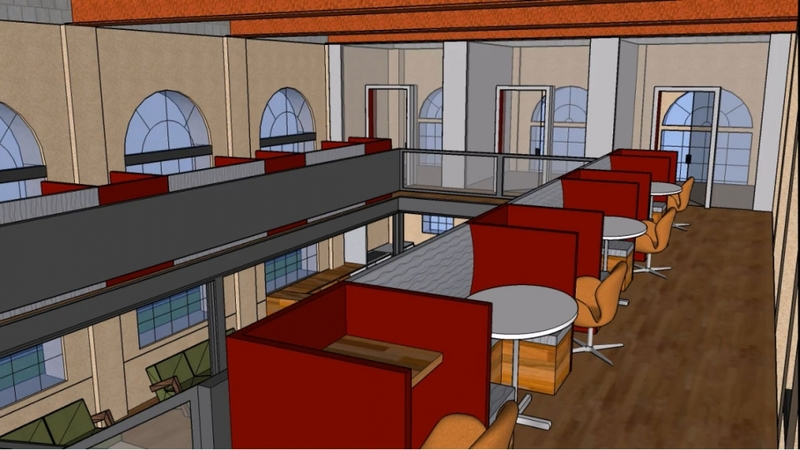 The space would include Wi-Fi and room for community meetings. Dixon acknowledged the city’s performance agreement requires that the accelerator put at least 30 students to work on an annual basis for a five-year period. Weiner cited the nonexistence of those jobs as one reason the city should find Dixon in default of the agreement, but Dixon said the five-year period applies to the start of the project, not the date of the grant award. BizSense was unable to obtain a copy of Dixon’s agreement with the city. 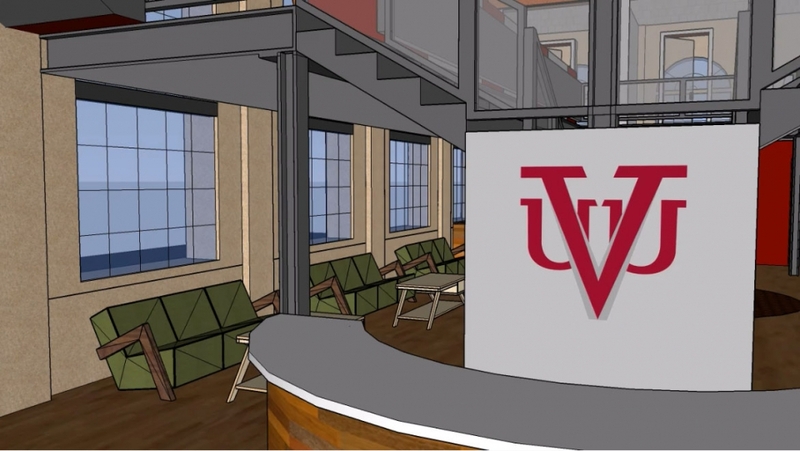 Dixon did provide BizSense with a memorandum of understanding from 2017 between his group and VUU’s Small Business Development Center, detailing the framework for a potential binding contract. The memorandum’s terms are valid through July 31, 2020, according to the document, which was signed by Dixon and VUU President Hakim Lucas. Attempts to reach VUU officials for comment for this story were unsuccessful by deadline. Echoing comments Hilbert made to CBS 6 after his voter district meeting last month, Dixon maintained that Weiner just wants to be able to develop the bank building himself. Weiner said he wants what’s best for the neighborhood. “We have the most iconic building on the block. It’s going to take us longer,” Dixon said. Correction: An earlier version of this story incorrectly reported that Virginia Community Capital is providing financing for the bank building project. VCC had been in talks with Dixon about financing but is not actively involved with the project. The Brookland Park business accelerator. 10 Comments on "Developer: Plans for old Northside bank building are progressing"
Max if you borrowed $200,000 from a bank to renovate a property and did nothing for four years what would the bank do??? The City gave a taxpayer funded grant with stipulations and nothing has been done. $20,000 went to RRHA for the purchase but where did the other $180,000 go? I support the grant and small loans but there needs to be oversight and enforcement of agreements. He has had enough time to get this project started.!!! This response from Dixon is a joke and typical. Instead of taking responsibility for his lack of progress (and potential nefarious motives), he always points the blame on someone else. His response to Weiner is very telling of that. I’ll believe progress is being made when I see it. As a neighborhood resident, so far I do not see anything being done. I am available for a chat if Dixon so chooses, though he’ll probably place the race card or some other sort of deflection. FINISH THE JOB! Cory W. is among the most honest and well intentioned real estate developers I’ve met. He has done the work, made the investment and is at every single community association meeting. He successfully developed and filled 4 spots on that block with new kinds of businesses bringing diversity and new faces and traffic to a stagnant neighborhood. I am skeptical of anyone who doubts his integrity, and has taken $200k of the city’s money and doesn’t have any progress to show for it.